Is Tobi really Madara Uchiha? Who is behind Tobi's mask? Is Tobi really Madara Uchiha? Who is behind Tobi’s mask? The Man behind Tobi’s mask. Who is really Tobi? Before Naruto Chapter 559 and Naruto Chapter 560 were released, a lot of us were wondering who is really Tobi behind the mask? There were many speculations that for many months was left unanswered. Until Tobi was finally revealed as Madara Uchiha (before). We presumed, before, that Tobi was Madara because the fact that he has Sharingan eyes like Madara. Basically he has Madara’s power. Another speculation is that, he is Obito. But Obito was still very young when he died. So most Naruto fans dropped that theory. But now, when the epic chapters 559 and 560 were released, we were shocked by what we have seen! Madara Uchiha was summoned and was resurrected using the Impure World Resurrection. According to Gaara, the person used that technique most probably died. But I doubt it. Someone is really pulling the strings aside from Kabuto. Kabuto is just an assistant or subordinate. And the real master mind behind this might be even Orochimaru. There were speculations that one of Kabuto’s goal was the resurrection of Orochimaru. 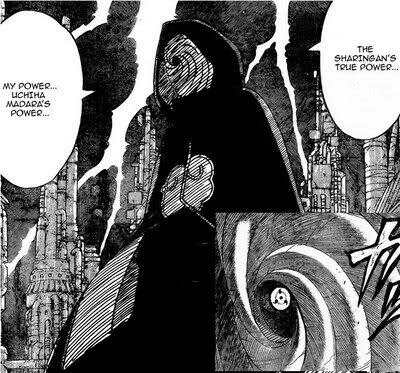 Now that the real Madara Uchiha has appeared, the big question now is “who in the world is the man behind the mask?” Who is really Tobi? This leads into another sets of speculation. Now that the theory that he is the “real” Madara is crossed out, this leaves that Tobi might be another person or a clone. Again the theory that Tobi is Obito resurfaced. Another interesting theory is that he is a clone of Madara. Remember that Kabuto somehow modified Madara’s body so that he would have powers beyond his prime state? They could have messed Madara’s original body and made a clone. 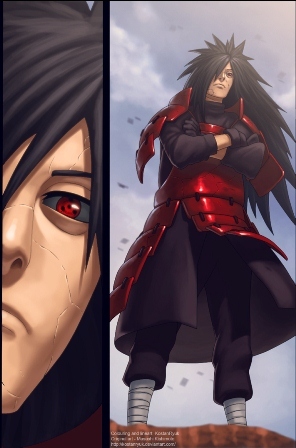 There is no doubt that the Madara appeared in Naruto chapters 559 and 560 is really Madara Uchiha. 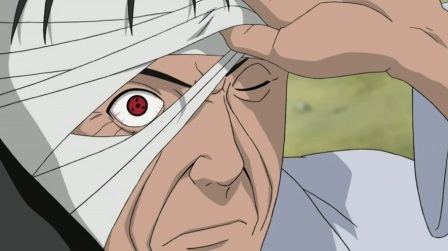 Another observation is that he has a Sharingan on one eye and Rinnegan on the other. This is a trait of SO6P and/or the Six Path of Pain. But those theories are far fetch. Last theory is Tobi is really Tobi. Another character who possesses or was given the power of Madara. UPDATE: I also have a strong feeling that Tobi is Danzō Shimura. When Tobi revealed his Sharingan to Sasuke, he really look like Danzo. Also they are about the same age.